Staff at the Manatee County Supervisor of Elections Office had to start their recount over due to a human error with a ballot machine. 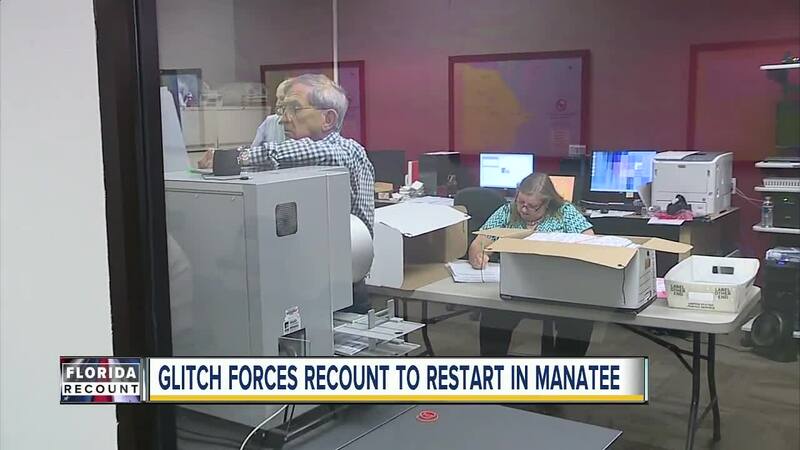 BRADENTON, Fla. — Staff at the Manatee County Supervisor of Elections Office had to start their recount over due to a human error with a ballot machine. Supervisor of Elections Michael Bennett caught on to the mistake only after more than 33,000 early voting ballots had already been processed. Bennett says the machine was not identifying undervotes. An undervote occurs when no vote is cast for a single-choice election. “I don’t think you can have a recount without frustration," said Supervisor Michael Bennett. "We went back, we set the machines to zero. We set all the machines to zero and started all over." It was an early setback in Florida's statewide recount process that cost Bennett's office about five hours of work Monday. His team planned on working until 10 p.m.
Bennett remains confident his office will complete the necessary machine recount by Wednesday, ahead of the state's Thursday deadline. 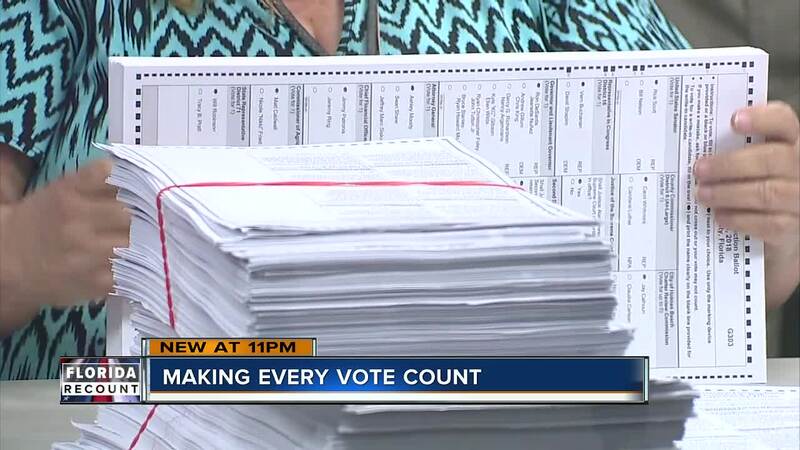 "Things like this are going to happen in a big process so if there are snafu's in the election process and we have problems that we need to rectify, that's exactly what we should do," said Sheryl Wilson, chair of the Manatee County Democratic Party.